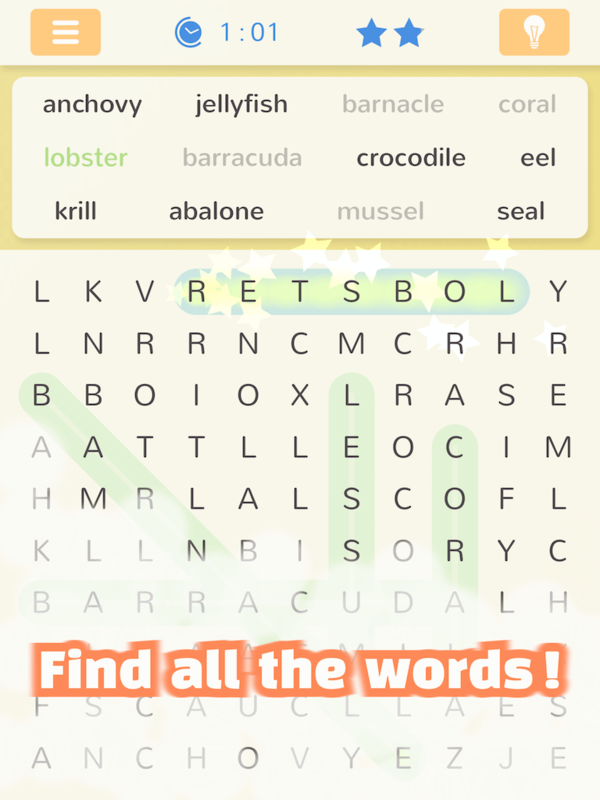 Find all the words in this cheerful word search game! 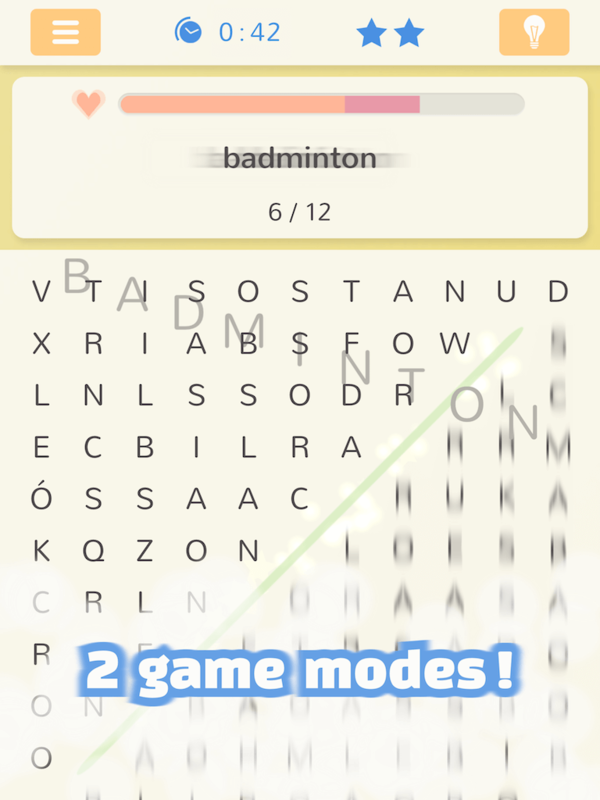 2 different game modes: play arcade mode for a fast-paced dynamic puzzle, or classic for a traditional game. 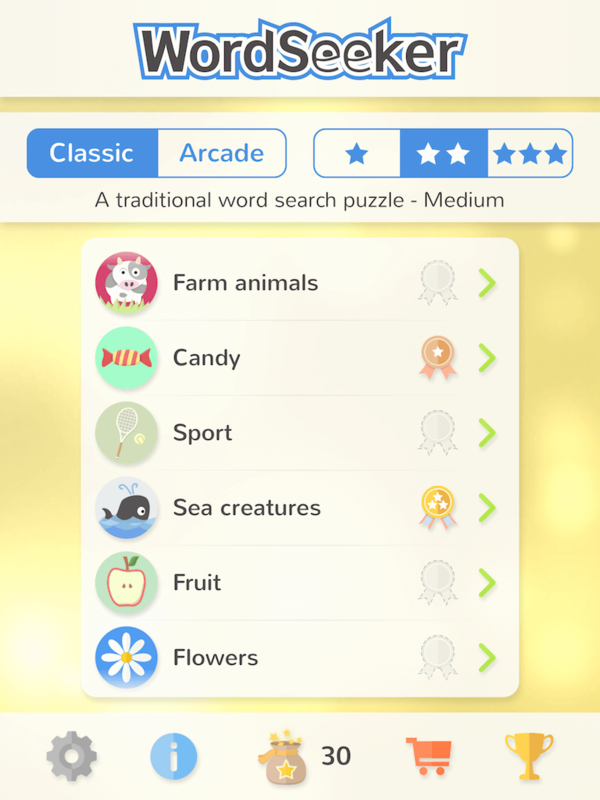 3 difficulty levels to challenge players of all abilities. Earn medals and compete for best times. Not sure of the meaning of a word? Simply tap on it for a definition! 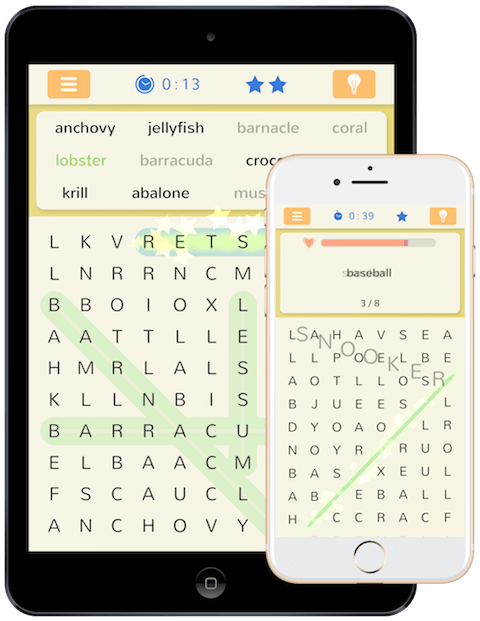 Solve puzzles in 5 languages – English, French, German, Italian, Spanish.